Lately I’ve been into drawing different desert flowers. These more colorful sketches I’ve been making lately are more mixed media than some of my other sketches. In this sketch I started with black ink lines to nail down the form of the protea. Then going in with some markers to capture the key parts of the color. Finally, going in with water color to give the sketch a more loose feel. Enter your email below to see my newest sketches and behind-the-scenes videos – straight to your inbox. 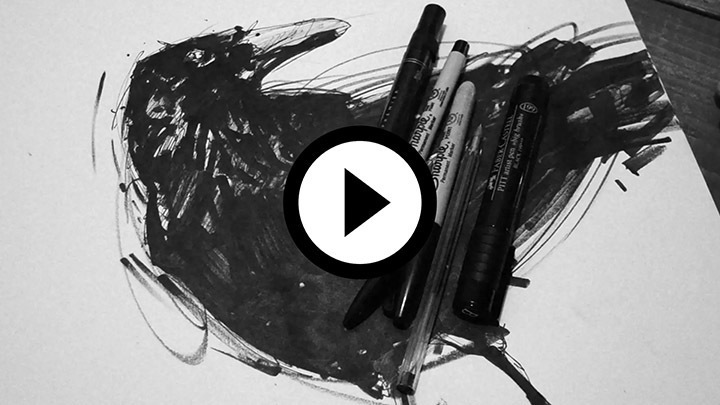 You'll also get immediate access to watch a 2-minute raven speed drawing.